Because of its proximity to the Andes, the forests of Tambopata and Candamo constitute the most diverse region of the planet and its wild forests, the best preserved of the Amazon. Very close to the bustle of Puerto Maldonado there is a place dedicated to the contemplation of nature, a jewel embedded in the forest noted for its abundant wildlife and vast natural springs that shine at dawn. This is Sandoval Lake. Arrive to Puerto Maldonado the capital of biodiversity in Peru. Pick up at the airport and travel into the city. 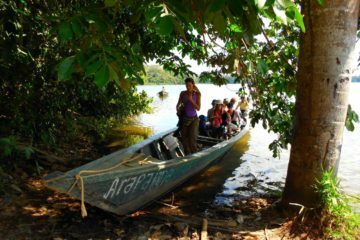 We will take a boat from the port that will take us down the Madre de Dios River. We will travel a little more than one hour to the Mejía Lodge (basic accomodation) located close to Sandoval Lake. You will be placed in bungalows according to your reservation. At this point we will take a two hour hike through the jungle with a guide. We will see a great diversity of flora and fauna. 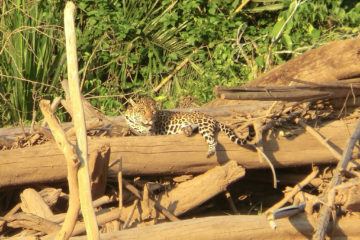 In the night it is possible to see caimans and the great diversity of wildlife around the Sandoval Lake. We will return to the lodge, have dinner and lodging. 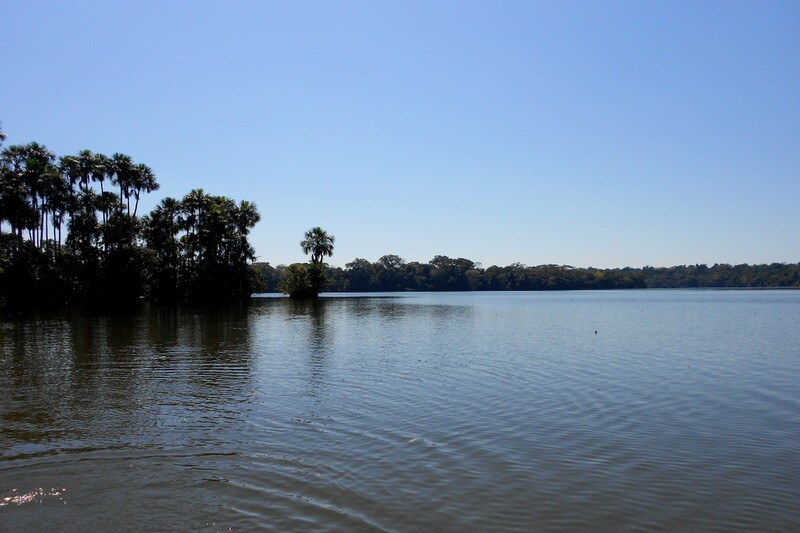 After breakfast, we will take boat around the Sandoval Lake, where you can see the diversity of flora. We will see orchids, platanillos, ungurahuis, aguaje palm. We will see a great diversity of Fauna as well. We will see a quantity of Giant Otter, ducks, black and white caimans, wild hens, taricayas (small turtles) and a variety of fishes. It is possible to take a refreshing bath in the lake without danger. We will then return to the lodge for lunch. After lunch we will visit Monkey Island and return to the city.